The ‘Parks and Rec’ one is especially creepy. ICYMI (and if you did, you really missed out), the Chicago Cubs won the World Series for the first time in 108 years, defeating the Cleveland Indians in the 10th inning, 8–7. 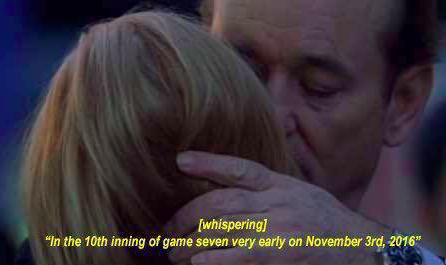 It was one of the most intense games in baseball history, from the Cleveland comeback to the rain delay, and of course, the most stressful extra inning to end all stressful innings. While Chicagoans spent Game 7 huddling together, holding onto their pride and every bit of hope, some already knew their historic win was coming. 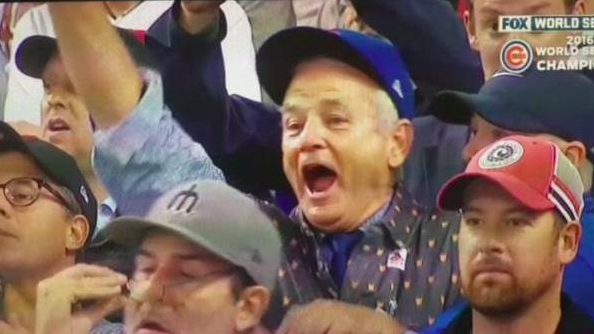 Both fans and Hollywood predicted the Cubs World Series victory years before it happened. These are some of the eeriest fan predictions that called 2016 the Cubs’ year. 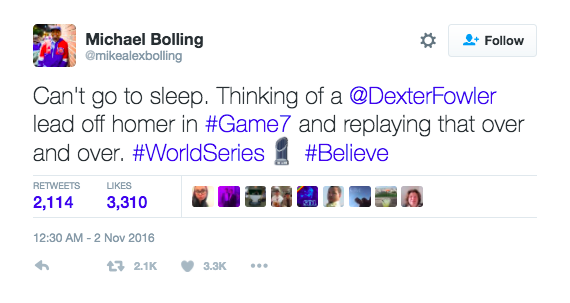 Just one day before Game 7, this fan called Fowler’s lead-off home run that put them ahead of the Indians for several innings. 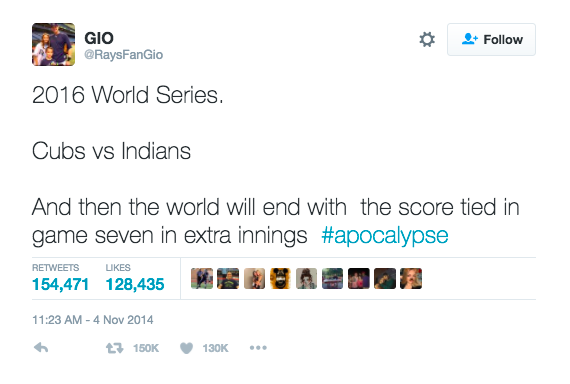 So the apocalypse might not have happened, but damn, did this guy get something right. 3. 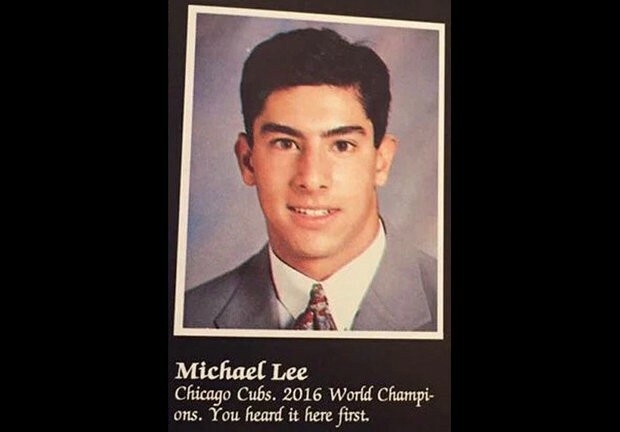 In 1993, this guy’s high school yearbook entry predicted the Cubs would be World Champs in 2016.
mom walks into my room* -look at my yearbook from ’93 #… This dude called the cubs winning the series in 2016 for his senior quote. Let’s add another thing to Clinton’s stellar resume, shall we? Apparently, this Nasty Woman is also a clairvoyant. While signing a fan’s Cubs jersey, Clinton noted that 2016 would be the year both she and the Cubs would win. So far, so good. “Parks and Rec” creator Mike Schur told the Washington Post that it was an honest prediction he threw in the script: “As soon as we decided to throw the last season of ‘Parks and Rec’ into the future, into 2017, we sort of started calculating what the world might be like … I was the only person on the staff who cared about baseball enough to track the Cubs’ minor league system." He called it. But we’ll give Marty McFly the benefit of the doubt, anyway—especially since he’s been correct about other things, like hoverboards and drones. 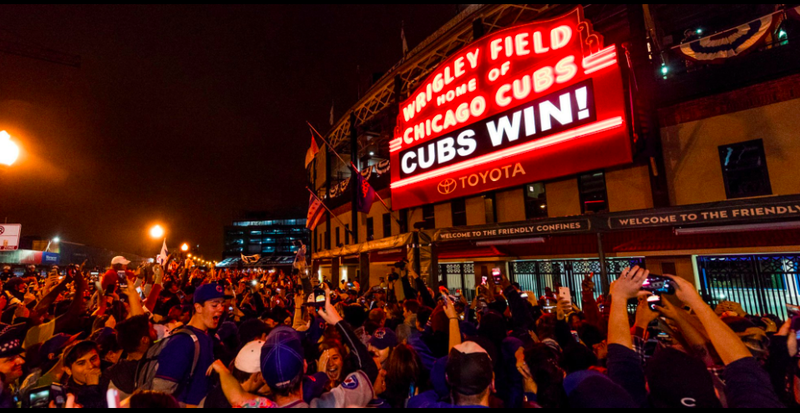 The curse of the Billy Goat has been lifted and Chicagoans are soaking in their pride, popping champagne on the streets and flying their “W” flags loud and proud. We did it, Chicago. Bill Murray is proud, too.